Parents have read their children fairytales before bedtime for hundreds of years. The chances are you’ve heard more than your share over the years, and you might even read a few of them to your kids too. They endure because they’re wholesome, fun and teach kids important life lessons like ‘don’t steal porridge from bears’ and ‘houses made out of gingerbread are usually too good to be true’. However, your favourite fairytales may not be as family friendly as you remember. In fact, some of them are downright violent and even offensive in our more enlightened times. That might explain why parents are now beginning to change or even avoid fairytales altogether. Yep, that’s right; good old fairytales might on the way out. 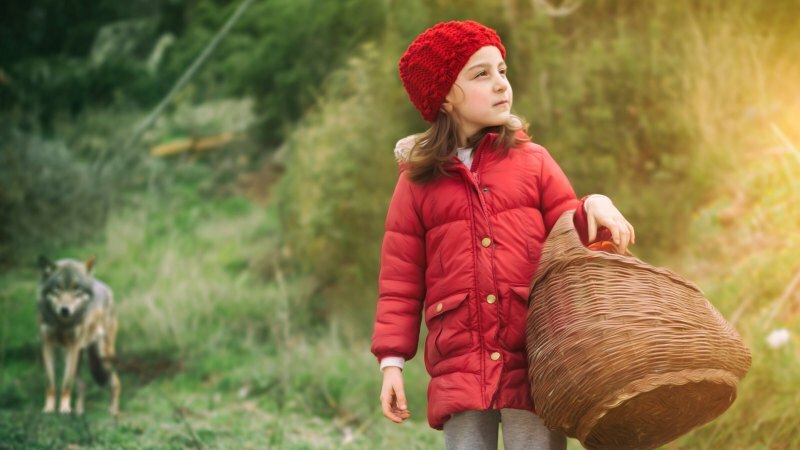 With the help of OnePoll.com, we asked 2,000 parents for their opinions on fairytales and if they’d ever changed the ending of one to make it more family friendly. Staggeringly, one in four admitted to altering parts of a story when reading it to their kids. 16% went either further and banned certain fairytales altogether. The story parents change most is Little Red Riding Hood, followed by The Three Little Pigs and The Gingerbread Man. All three seem pretty innocent, but their true horror becomes clear when you dig a little deeper. Little Red Riding Hood , for example, ends with a little girl being eaten by a wolf then cut out of said wolf’s stomach by a hunter with an axe. It’d be a great ending to a horror movie, but it’s not exactly the kind of thing you want to tell your kids before they go to sleep. Similarly, The Three Little Pigs ends with the pigs murdering a wolf and eating him while The Gingerbread Man sees the title character eaten by a fox (an ending a third of those surveyed felt was too cruel, even though millions of gingerbread men are eaten every year. Sorry kids). – 36% are concerned by the Pied Piper of Hamlin tricking children into following him. – Almost one in four disagree with Cinderella doing all the cleaning and chores. – 27% think Robin Hood is a terrible role model, despite giving back to the poor. – A quarter think The Ugly Duckling could encourage body-shaming and discrimination. – One in four think Sleeping Beauty is problematic due to Prince Charming not asking for consent before kissing the princess. – 3 in 10 dislike Hansel and Gretelas children are left alone in the forest. – 27% worry that Pinocchio encourages kids to lie. Most of these stories were written hundreds of years ago, so it’s no surprise that they convey some slightly outdated ideas. With more and more millenials having children, it’s not beyond the realms of possibility that most fairytales will be significantly altered over the next few years or even disappear entirely. The good news is that bedtime stories themselves are as popular as ever, with 78% reading to their children for an average of 17 minutes. 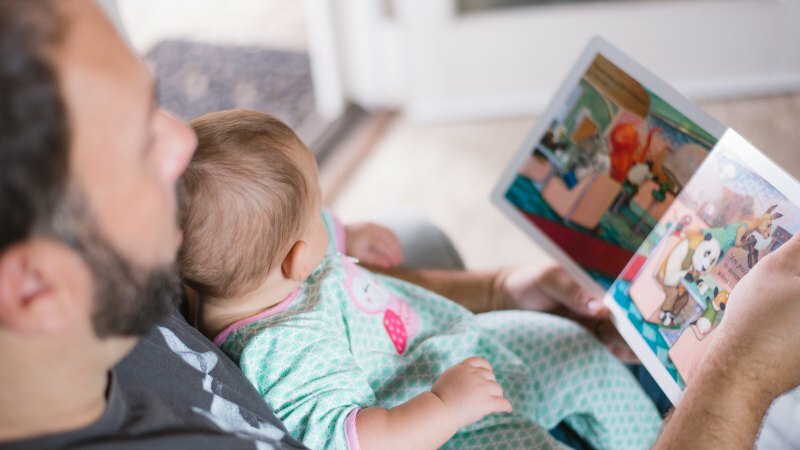 85% read from a physical book while 1 in 10 read from tablets, which is unsurprising given the rise we’ve seen in parents buying refurbished tablets. One in twenty also listen to spoken stories on TV, particularly if Tom Hardy is reading them. 18% even make up their own tales. Children aren’t harsh critics, thankfully. Of those who don’t read bedtime stories, one in five claim they’re too busy while one in ten prefer to give them a tablet instead. 15% let their kids watch TV, 25% say their children don’t like stories while 15% lack confidence in their reading abilities. If you’re looking for some more appropriate stories to read to your kids before bedtime, check out the huge range of children’s books on the musicMagpie Store. Prices start from just £1.19 and you’ll get FREE delivery too. Don’t forget to take a look at our fantastic refurbished tablets while you’re there too. We have everything from iPads to Galaxy Tabs, all with a FREE 12 month warranty and FREE delivery. Why wouldn’t you? What are Britain’s biggest literary guilty pleasures?